The death of Peace Corps Volunteer Julia Campbell disturbs me. Here I am in New York, reading today's issue of The New York Post and Julia being a New Yorker herself, grabs a half-page of news coverage that's as distressing as the university carnage in Virginia: N.Y. Gal Slain In Asia, Grim Philippine Find. I followed the news in The Filipino Channel and indeed, her story has hit prime-time news. The footage showing Batad's jaw-dropping rice terraces are so vividly familiar, having visited the area only late last month. Julia's death is so untimely and so unexpected in Batad. As far as I know, no foreigner visiting the remote village has ever died until now. I remember asking Mang Elyo, a Batad resident who was our guide, about the peace and order situation in their village and he could only mention the occasional land dispute between tribes. The village residents practically know each other and strangers, especially Caucasians, come and go but they have never been disturbed. In fact, Batad's residents have always been proud of the peacefulness they enjoy despite the constant stream of outsiders. What makes Julia's death more attention-grabbing is that she died in the country that has adopted her for the last two years. She "decided to step out of the rat race in New York" in order to join the Peace Corps. Her commendable work in the Bicol region of the Philippines and her pursuit in even speaking Tagalog shows a commitment that is truly selfless and endearing. She would be greatly missed by her family, her friends, her blog fans and of course, the teachers and kids in Donsol, Sorsogon whose lives she touched. But will this senseless death of a tourist mean the death of Batad's eco-tourism? I certainly hope not. The Philippines have already lagged way behind Thailand and other Southeast Asian countries in tourist arrivals. Batad has got a lot going for it before this depressing news. 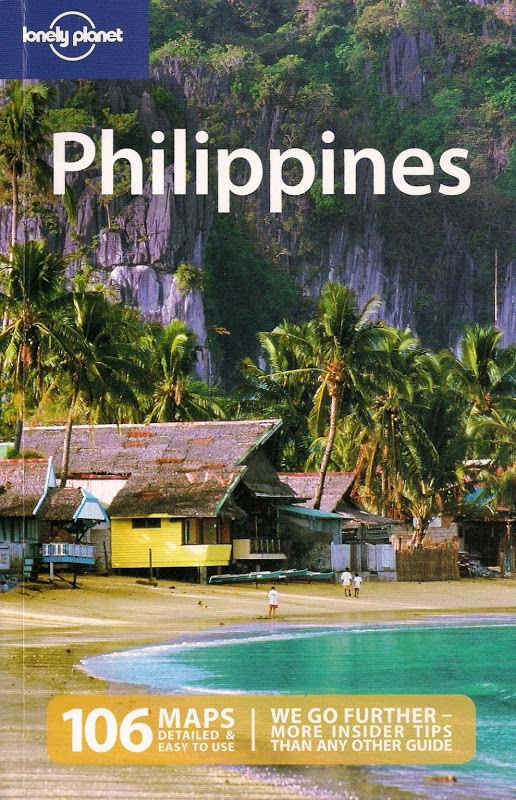 It gets good coverage among guidebooks, most notably The Lonely Planet, Let's Go and The Rough Guide. Even The New York Post's report on Julia's death mentions the area as "picturesque". While hiking in Batad last month, I saw a good number of mostly Western backpackers and managed to chat with a few of them, all saying good remarks about how impressive the terraces are and how peaceful it is. The Philippines have an abundance of natural attractions that could easily compete with its more popular neighboring countries. However, selling the Philippines as an eco-destination has been difficult due mainly to negative press releases and the poor infrastructure in the country. The infamous Abu Sayyaf and the coverage they got years ago has still made the prospect of surfing Siargao or hiking up Mt. Apo in Mindanao a dangerous mission for many foreign visitors (though this terrorist group does not operate in those areas). There's this misconception among foreigners that Mindanao is the playing ground of the Abu Sayyaf. But, it's not just death, or kidnappings, or Abu Sayyaf that turns off potential visitors. Just arriving through the cramped, congested Ninoy Aquino International Airport will make a jet-lagged visitor leave Manila right away. For most Western backpackers who arrive in the capital city, they are shocked to find no central bus terminals and very unreliable ferry schedules. And did I mention the dishonest taxi driver? What makes it worse is that any foreigner who goes through a nightmarish experience can now easily relay his own negative "press release" through online forum or blog where it gets read by many others. Many times, I've been asked by colleagues in New York whether it's safe to travel in the Philippines. I always say it's relatively safe: one really doesn't have to be paranoid, just use common sense wherever one goes. There are still plenty of friendly and helpful Filipinos out there. It's tragic that Julia Campbell would die in her host country. After two years of staying in the Philippines, one would think she has blended well enough to become another Pinoy. But if she were just another Filipina who happen to die in Batad, would she have generated this much buzz from the media? I heard about the news.. It was really devastating. Julia's death was indeed horrible. It only shows that there's really no absolutely safe place here on earth, whether you're in the Phils or even in New York (how many Pinoys died in the terroristic 9/11 attacks? how Pinoys die from being mugged there everyday?). We all just have to be careful at all times.